Perhaps the most deceptive lure when viewed in the air is a lure with a chrome finish. When viewed in the boat this lure is reflecting all the light shining on it. And in the boat all shades of light shine on it and it appears white/silver/blue and extremely bright. When viewed from the boat a chrome lure running underwater is reflecting back the sky and appears blue. But when viewed from underneath, it is reflecting back the bottom and has a distinctly different appearance. But its sides are also reflecting at angles some of the sun’s rays so it will still tend to sparkle off and on as it moves through the water. And when running through vegetation, the primary color of the lure will be green, but it will be constantly changing colors as the water and objects around it change colors. Believe it or not, a mirrored lure becomes a camouflaged lure as it runs through cover and structure. In case you haven’t noticed it, mirrored lures are often quite effective. Metal flake and translucent soft-plastic lures. Will Rogers once said, “It is amazing what you can see if you observe.” Here is an observable phenomenon, most of the prey that bass eat are camouflaged. Why is this? Because camouflaged creatures tend to survive and propagate, while non-camouflaged creatures are quickly eaten up. Because of this phenomena natural selection will cause all the crayfish to be colored the same as the bottom. And translucent soft-plastic lures are constantly changing colors underwater as the color of the light changes that is shining through them. We view this as a very logical explanation of why translucent lures seem to work so well in clear to slightly dingy water. But as the water becomes more and more clouded there is insufficient light to shine through a translucent lure and they start losing their effectiveness (they are too camouflaged!). In dingy and muddy water opaque soft-plastic lures create a distinct silhouette and tend to work better than translucent lures. This enhances the perception that the lure is a living creature. In sunlight these momentary flashes call attention to the lure and helps the bass see it. When there is no direct sunlight there is no flash and black (pepper) metal flakes tend to work best because they cause the lure to have a more natural “mottled” look. Before discussing fluorescent lures, we need to discuss fluorescence. Fluorescence is a physical phenomenon whereby a material absorbs one wavelength of light and retransmits another wavelength of light. With fishing lures the color absorbed is ultraviolet and the color emitted is usually orange or chartreuse. This is quite interesting because ultraviolet light penetrates water better than the visible colors. Therefore fluorescent colors will be brighter at greater depths than will natural colors. And they will tend to stand out much more vividly in clear water. Fluorescent die added to the tail of a soft-plastic lure is extremely effective. 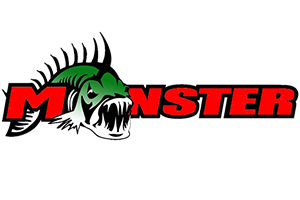 And please don’t pooh-hoo fluorescent colored crankbaits. For fish can see them much better than normal colored crankbaits. Several lure selection rules seem to logically follow from this discussion. When fishing in shallow and clear water use lure colors that closely mimic the forage of the bass, for the bass are going to see the lure extremely well and in vivid colors. Alternatively, when fishing in clear water use vivid colors that may cause a reaction strike or tweak a bass’s curiosity. White, bubble gum, yellow, pink and merthiolate are colors that are often used to induce reactive strikes. Use shades of yellows, greens and olive when fishing in greenish, dingy water. When fishing soft plastic, use translucent baits in clear water and opaque baits in dingy or muddy water. 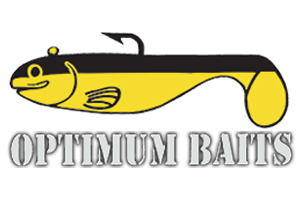 When fishing with soft plastics, use brightly colored and reflective metal flake on sunshiny days and use pepper-flaked baits on cloudy days and in low light conditions. When fishing at night or in deep turbid water, color is of little importance so you might as well use dark (black is best) lures and create the best possible silhouette. A scientist who has researched the colors fish see is Dr. Loren Hill, Dr. Hill is a biologist. He spent many hours studying fish eyes under a microscope and hundreds of hours experimenting with fish vision in water. Some of his findings are quite interesting. For example, when a human can see less than six-inches in muddy water, a bass can see three to six feet. In stained water that restricts human vision to less than four feet, a bass can see about sixteen feet. And in clear water a bass is capable of seeing objects 45 feet away. While Dr. Hill was studying what and how bass see he collected voluminous amounts of data. In particular, he kept meticulous records of the colors bass see under varying light and water conditions. To his surprise there was not a close fit between the physics of light/water interactions and how bass see and respond to colors. His primary meter for making color measurements was a spectrometer. This is a device that separates the colors in the light spectrum and measures the strengths of each wavelength. He kept relating his spectral data with bass reactions. And finally he had enough data to predict which colors bass would see best under a variety of water conditions.